This month sees one of Eskenzi’s longest standing clients, Varonis Systems, succeed with the most successful IPO of the year in the big data arena. 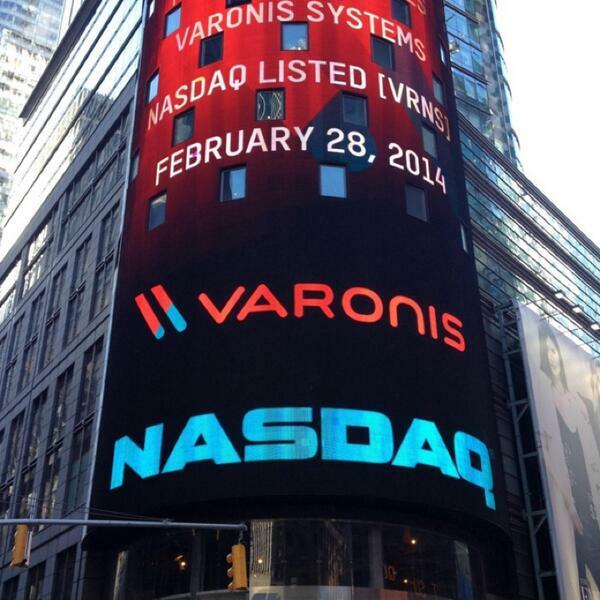 So a huge congratulations to our dear friends at Varonis. The unstructured data specialist’s shares soared after making its public trading debut, with investors snapping them up in their droves. The shares rocketed as much as 91% to $42.02 in midday trading, after its 4.8 million shares were originally priced at $22 a share. A number of tech companies have boasted highly successful initial public offerings in recent months. Twitter Inc. shares surged 73% from their IPO price in the first day of trading, while cybersecurity firm FireEye Inc. climbed 80%. According to data from Dealogic, Varonis’ high would place it fourth in the technology sector among one-day increases for U.S.-listed IPOs since the beginning of 2013.